Molly, founder member of The Rockets in 1967 and now a solo entertainer and gospel artist in his own right. The Rockets. Molly Baron. There was a time when the two were synonymous. Interchangeable. But that was a long time ago. Almost 20 years ago in fact. There was a parting of the ways. Molly went on to follow his faith and do his own thing and The Rockets carried on being one of the most popular bands the country has seen. Next month, however, could see the two together again in a celebration of The Rockets’ 50 years of being a pop band. A huge event is being planned for Grand West on August 26. Molly’s going to be there. One-time Rockets front man Colin “Bones” Delight is going to be there. Rumour has it that one or maybe both of the Brown brothers, Claude and Frank, will be there. Each and every one, in the words of that Elton John song, was “a Rocket man”. Jerry Watt, who after all these years, is still a Rocket man, will be there, leading the group, as he has done since 2000 when Molly left. But, in term of the Rockets’ history, Molly is special. He is an original. He, not any of the others, was there 50 years ago, teaming up with Robbie Jansen, Georgie Carelse, Walter Brown and bassist Carlo Carelse to start the group. It had been Walter Brown’s Bismarks before Molly joined them. That was in 1967. Carlo stopped being active in mainstream music decades ago. The others are all dead. Fifty years is a long time in the business and, whilst he hasn’t enjoyed as high a profile as he would have were he still with the band, Molly is still plying his trade. He can rightly claim to be a Cape Town music legend and deserves whatever plaudits come his way. But who is Molly Baron? There’s a whole lot more to the story than that, a story of a kid, barely 10 years old with limited education but a passion for music, who overcame numerous setbacks and a hard life to lead the most popular band in South Africa. Molly was born in Bellville South in 1952 and grew up rough, as he puts it: a crowded house, single mother, violent absent father. “I learned to live by my wits but the one thing I knew was that I loved the sound of music,” he says. One of the earliest pictures of The Rockets but already they were without Carlo Carelse and Walter Brown. From left are Georgie Carelse, Molly Baron, Robbie Jansen, and Frankie Brown. Seated is Claude Brown. “I loved the sound of the guys hanging out on the corner crooning the latest songs; I loved sneaking out at night to go and watch the local makeshift band, the Bell Beats, playing at a backyard jol. Georgie Carelse was in that band. They must have made some impression because the family bought them second-hand instruments and they kicked on with minor house gigs until the Bell Beats roped Molly into their group. Molly’s stint with the Bell Beats lasted a short while before they broke up and he went back to being just a school kid with a part-time job as a delivery boy. Then came the big break when Georgie and Robbie came calling. “I was in Std 6 at the time but I dropped everything and went with them. I left home and never went back, not that my mother would have taken me back – I was in that much trouble. It wasn’t always smooth sailing. The group, like so many of that time, struggled. 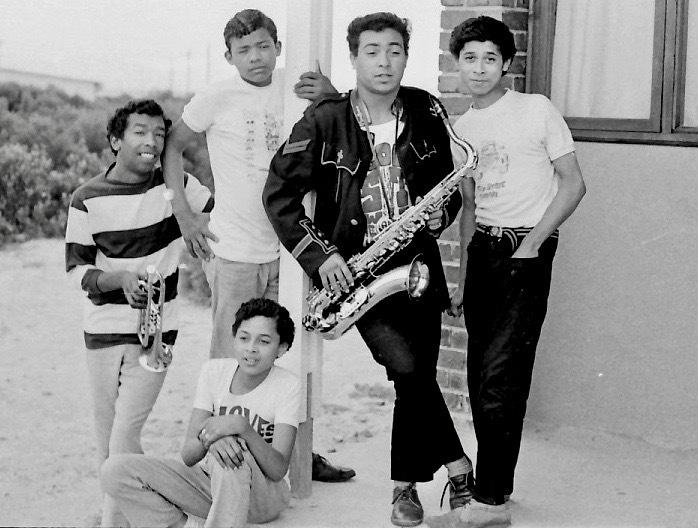 They did cut two seven singles in 1968 as competing record companies dragged so many Cape Flats groups into the recording studio to see if they could be big sellers like The Invaders and The Flames were at the time. The two instrumental tunes were called Itchy Fingers and Argie and Robbie sang lead vocals on the B-sides. The records were minor hits but, for Molly, it was one the toughest times in his young life. He lived on the street in Athlone, hanging out in nightclubs and sleeping in cars. Along the way, Carlo had left and they roped in the Brown brothers from the Fantastics to play lead (Claude) and Frankie (bass). George switched to keyboards and Robbie to vocals and saxophone. Walter Brown, the first leader of The Rockets. 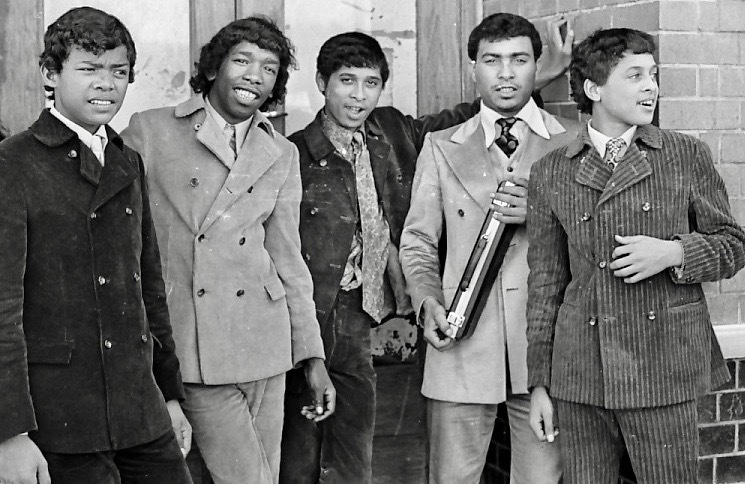 In December 1969, they achieved something beyond their wildest – they won a battle of the bands contest (very popular in Cape Town around that time) and first prize was a trip to London. “It was an unbelievable experience. I saw The Who perform their play Tommy. I saw John Lennon and Yoko Ono and their Plastic Ono Band. The whole trip changed my view of the world. “When we got back to Cape Town, we were treated like celebrities, doing ‘welcome home’ gigs all over the Peninsula. Things were going great. But it started to fall apart when Robbie and Georgie decided to flick their manager, Omar Parker, and, being older than the Molly and the Brown boys, they ran things. “It turned out to be a disaster,” Molly says. “They would argue all the time, they took bookings and deposits independently, resulting in double bookings, and they blew the money on their habits. “Then they decided to move on and left myself, Frankie and Claude to our own devices. The Rockets, to all intents and purposes, disbanded. It wasn’t a good time for me and my life was a bit of a shambles. The Rockets in their Carnaby Street gear that was the style of swinging London — which is where they went after they won the Battle of the Bands contest at The Lux. It looked like Molly was about to join the Exotics in December 1970 when Frankie and Claude pitched up at the Navigator’s Den to remind him that Georgie and Robbie had taken money from a promoter months before to be the headline act at a bands festival at City Park sportsground. With the threat of court action hanging their heads, they borrowed instruments and even though they were only three players, they committed to the gig. “I did most of the lead vocals even though I hardly knew the lyrics. I just made up my own words as we went along but I did a 10-minute drum solo on Chicago’s I’m A Man and the crowd went crazy. Molly discovered a newfound maturity in his approach to things. The group got regular gigs again, they were rehearsing diligently and his life was on track because he wasn’t living on the streets. “Even though I was still young, I realised that I needed to be focused if we were to make a go of it,” Molly said. “I opened a corporate bank account. I was the leader of the group but I made sure we were all treated equally and they trusted me. Business-wise, we used to talk it through a lot. “When I made a move to do something, the rest of the group seemed to follow. When I bought a car, they followed and bought their own. My first car was a Valiant I bought for R700. Slowly they built up their fan base again until the group decided that it was time to broaden their horizons and leave Cape Town. By this time, they had roped in Jerry Watt from the Fantastics, Bones Delight, a precocious pre-teen Jonathan Butler, and Cliffy Valentine to do keyboards. “Cliffy just pitched up one day at the club in Athlone where we were rehearsing and asked if he could join. That was the line-up we took to Port Elizabeth around the beginning of 1973. “The idea was we would play it by ear and see where we ended up in other towns and cities. Port Elizabeth was great. Jonathan was a big hit because, with a young Michael Jackson just starting out, he, along with Bones, killed ’em. A ’70s version of The Rockets which included Colin “Bones” Delight, Cliffy Valentine and Jerry Watt. When they eventually decided to head back home, it signalled another big change in the group. Tensions between Jerry and Claude, both excellent lead guitarists, resulted in Claude calling it quits. Back in Cape Town, the group decided again to take a change in direction by opting for steady contract work in a white nightclub. It upset a lot of their fans on the Cape Flats. The next big break came when in 1975. Promoters Clive Calder and Ralph Simon asked us to join their stable with the likes of Richard Jon Smith, Lionel Petersen, and Ronnie Joyce. Jonathan, who had left the group earlier, was also part of the Simon-Calder set-up. “The RJS tour was huge exposure for us and led to us getting spots on international stars shows. One of the first was with Tavares and, again, it made us think seriously, as a group, where we were heading. “When we pitched up for rehearsals with Tavares we were required to read the music. That was a bit of a problem; none of us could read. Our manager Mike Fuller went and pleaded our case, saying we had to approach the whole thing another way. For Molly, it was a salutary lesson; he went to a CNA store and bought a book called The Theory Of Music. He says it is one of the reasons he can play the guitar today. 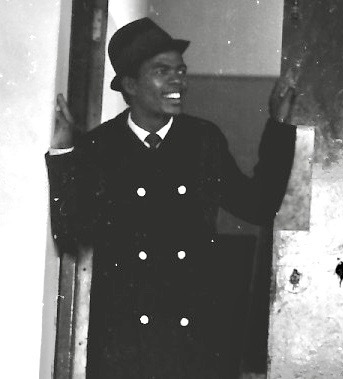 “The horn men that played with us on the big shows – trumpeter Stompie Manana and saxmen Barney Rachabane and Teaspoon Ndelu – were also a great help in teaching me to read. I learnt to read the drum part first, naturally. 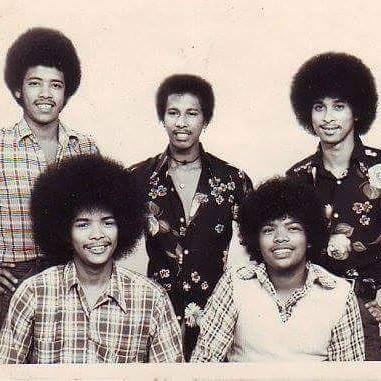 “Tavares and the other international acts we played with – the O’Jays, Hues Corporation, Atlantic Starr – thought we were so gifted. They couldn’t believe we played so well without a formal education. The reviews said we stole the show but that’s not what we wanted to do. We just wanted to be the best we could be. Molly’s life reached a major crossroad in 1982. He turned to gospel, left the group and concentrated on bible studies. He returned in 1985 but eventually went back to the gospel scene in 2000. Since then he has been pursuing a solo career and gigs with another artist. As far as he is concerned, his relationship with the group is fine but “I do my thing musically and they do theirs”. It brought to an end more than 30 years with the group that he helped to establish and lead most of that period. Now, 50 years after the creation of The Rockets, he looks back with some fond memories and how the group shaped the person he is today. How did he cope with managing the group during those tough times? 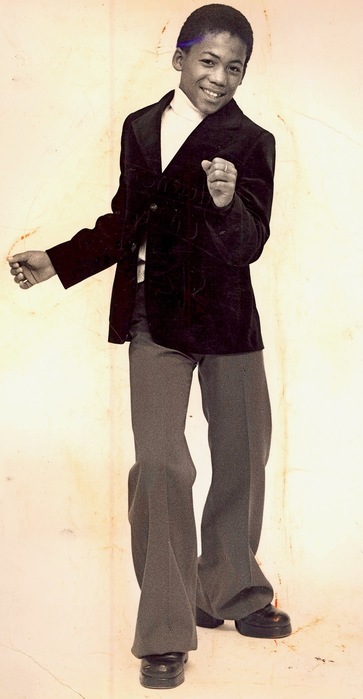 Jonathan Butler . . a teenybopper sensation with The Rockets in the early Seventies. “I guess the guys must have seen that I had the ability to pull the strings, I remember being strict in rehearsals, no messing around. And the magic of it all was, when it came to money, I shared equally. I’m sure that is what kept us together for so many years. These days Molly is a consultant with the long-standing music chain Paul Bothner and, with his time in the game, it has distinct advantages. Entertainers come looking for him for advice and good deals. At age 65 he is slowly winding back as an entertainer because he likes the idea of having weekends free, “unless I get a big corporate gig”. He restricts himself to playing two-three gigs a week with another entertainer, Steven Huntley. “It’s just relaxing stuff where I can play my jazz and play the songs I have done over the years, the old-school stuff that people appreciate. He is pretty sanguine about the local music scene and where it is heading. “With the accessibility of the internet and all these modern info outlets at your fingertips, things have really changed for the better in that regard. Also, with the equal opportunities available to all, things can only get better. “Personally, I know that I have learnt and grown as a musician with the opportunities I have been given. I know I can help myself melodically, composing and orchestrating my own music. My ear has, of late, moved more in the direction of jazz because it is really a journey with no point of arrival. Molly has been married twice with two daughters from his first wife and three children from his second. 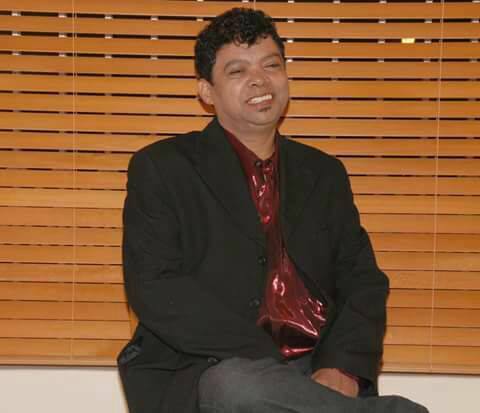 His youngest daughter is studying engineering at Stellenbosch University and son, Jaydine, is a sought after musician in South Africa in his own right and heavily involved in the production of South African Idol. Like a lot of musicians and entertainers of the Sixties and Seventies Molly admits that he has fathered other children, “all of whom I acknowledge and proud of”. I’ve known Molly for the past 50 years and I’ve marveled at how much he has achieved notwithstanding the cards that he has been dealt. I have interviewed him many times in those early years but I always neglected to ask him the one question that has haunted me all the time – what is his name on his birth certificate? Why he is called Molly is a story for another time. London calling: the moment of truth when The Rockets were announced as the winner of the Battle of the Bands with first prize a trip to the UK. 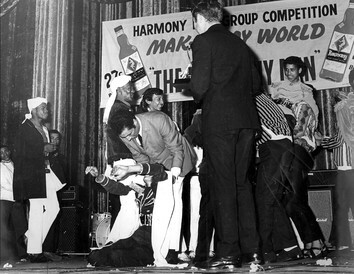 Young Claude Brown couldn’t take it and fainted on stage. His brother Frankie looks on bemused at the back. The late Noel Mitchell is also on stage. All material on this blog is copyrighted. Permission has to be obtained to republish any part of it. OMW – I’m definitely looking forward to the upcoming concert at Grand West. More than eager to “reconnect” with Frankie, Claude & Molly and reminisce about days (many, many) gone by. You may have a struggle finding parking at Grand West with all the Zimmer frames around, Karen! Roundtables work best if there is a single malt around, Beryl. Great story.One would never have believe that the journey was as tough as that because Molly was such a consummate professional not only in his onstage performance but also the way he provided leadership to the group and fulfilled their business commitments. They were always such a pleasure to work with. I think you played a significant role in their journey too, Tubby. And they know it! Word has it that Molly got his name from the horse that kicked him.I think he still has the scar across his nose where the horse called Molly made contact with his face. I remember those early Rocket days at the Lotus Club in Athlone, great memories! What a great story. I’m glad to have lived in this era. I am so touched by Molly’s story. Some years ago I had the honour to rehearse at Jerry’s house and to do an audition with the Rockets at the SABC studios in Seapoint as a trumpeter. I am so humbled to have been part of this amazing group. God bless the Rockets! What a brilliant article. Thanks so very much!! !